Consumers everywhere love the sleek, modern look of stainless steel appliances but hate that every fingerprint and smear show up. 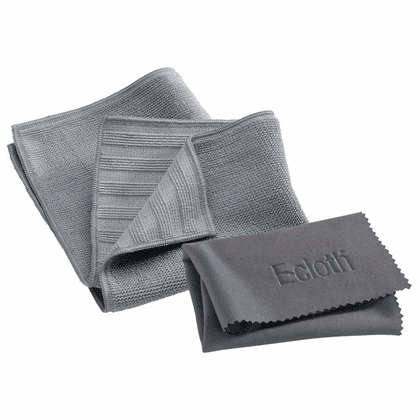 The e-cloth Stainless Steel Pack makes stainless steel cleaning very easy – and it is done without using any health-harmful chemicals, as E-cloth cleans with just water. Stainless steel brings out fingerprints more than any type of finish because of the oil in our skin. e-cloths really are different and give a fantastic chemical free clean with just water. If you take care of them they will last for years. e-cloths work so well that you will get a lint-free, smear-free clean with just water.